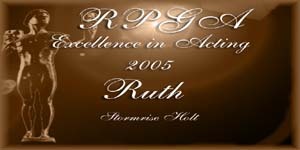 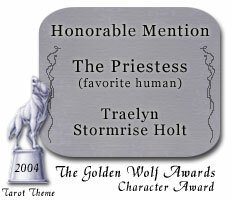 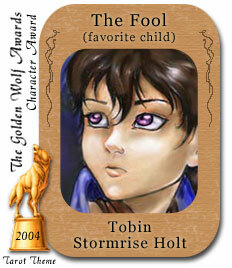 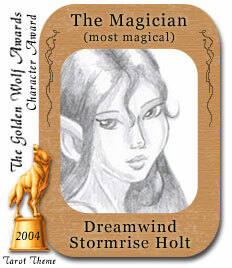 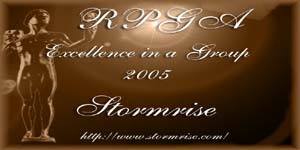 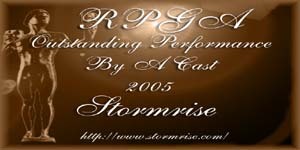 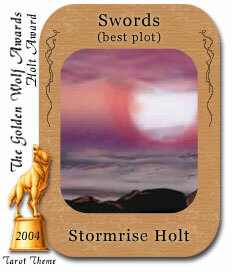 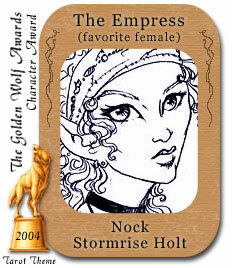 Stormrise Holt is the proud and honored recipient of the following awards! 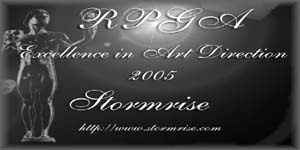 A howl and thank you to everyone who has contributed to keep Stormrise strong! Ayooooah! 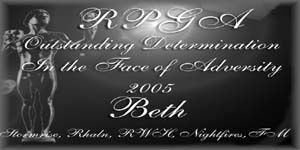 The Stormrise Holt website is copyright ©2019 Heidi Henderson. 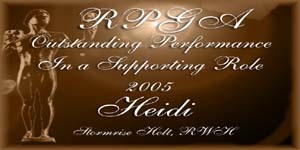 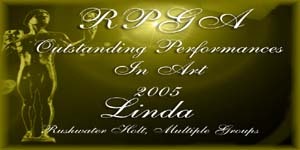 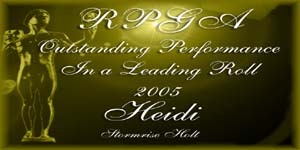 This site, in part or in whole can not be reproduced without the express written permission of Heidi Henderson. 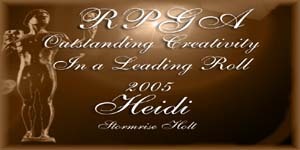 ElfQuest is copyright � 2019 Warp Graphics, Inc. Elfquest, its logos, characters, situations, all related indicia, and their distinctive likenesses are trademarks of Warp Graphics, Inc. All rights reserved worldwide.